Having trouble to sign in? To access Aula, you will first need an account. Your account will have been created in advance by your institution (school, university, etc.) and only consists of an email address (most often your institution or personal email address). Check with your institution to make sure you're using the correct email address when trying to sign in. This depends on your institution and will be either one or the other. 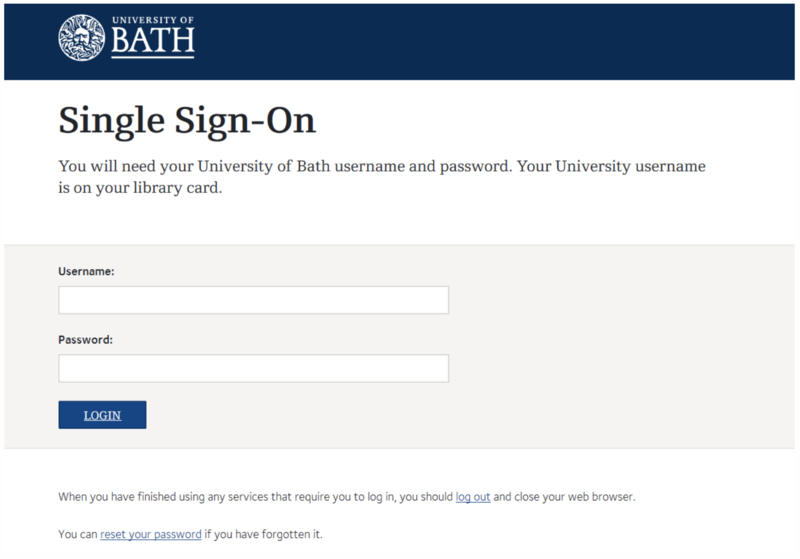 Your institution will have provided you with a username and a password to go through your institution's Single Sign On (Below is a screenshot of University of Bath's Single Sign On page). Once you go through the Single Sign On, you will be automatically redirect to Aula. 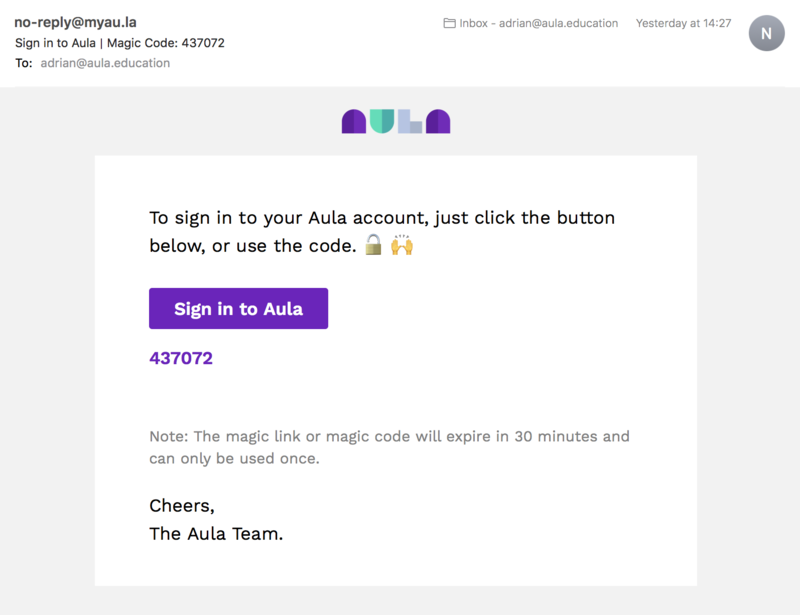 If you're institution does not use a Single Sign On, you will receive a Magic Link through an email to the email address you just entered (Below is a screenshot of an email containing a magic link). Simply click on Sign in to Aula and you will be automatically redirected to Aula.